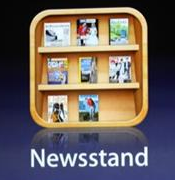 Special app to subscribe to magazines which downloads automatically on your device if a new issue is available. Basically a iBooks for magazines. You can manage all your twitter accounts directly from the settings. 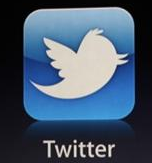 Twitter is integrated into Camera, Contacts, Maps, Youtube, Safari. Safari Reader like on the desktop version. Reading List which looks like Instapaper. And tabbed browsing (not like the current tabs, imagine the iCab Mobile tabs). To-Do, Buy Lists which can trigger notifications on certain times and locations, which is pretty cool. 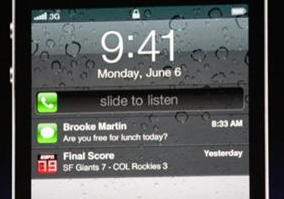 Imagine the possibility to set reminders to buy stuff if it happens you are near a store. There is a button to take pictures directly in the lock screen, you can do this without entering your code first so it is possible to take a quick picture at any time. 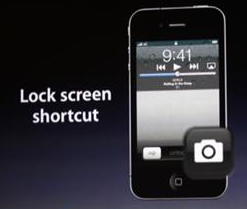 Pressing the volume up (hardware)button takes a picture in the camera app. The camera app now features gridlines, punch to zoom, AE/AF auto focus lock, and some basic editing functions (remove red eye, filters, color correction). "Richt Text" editing, intend control. Possibility to flag important mails like in the desktop mail client. No Pc or Mac need, no iTunes needed to setup the device, iOS5 features a welcome/setup screen to do the settings you needed iTunes till now. 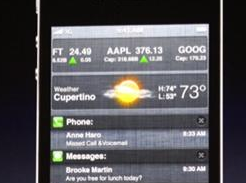 Software updates for the operating system are possible now over the air. Game Center has 50 million users (xbox live 30) but missed some basic features. Achievements, pictures, friends of friends and recommendation added. You can download/buy games directly from the Game Center. Support for turn based games, chess or strategie games for example. Instant Messanger with group chat, pictures and video support. 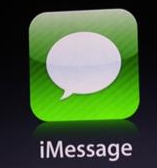 Messages get pushed to the device. Available on both, 3g and WiFi. new iPad keyboard, you can swipe up to use a splited keyboard you can operate with your thumbs. 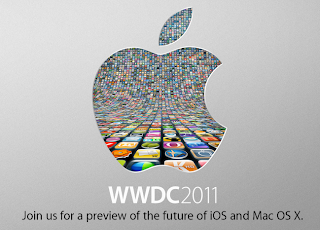 Available this Fall, Developer Preview available today! 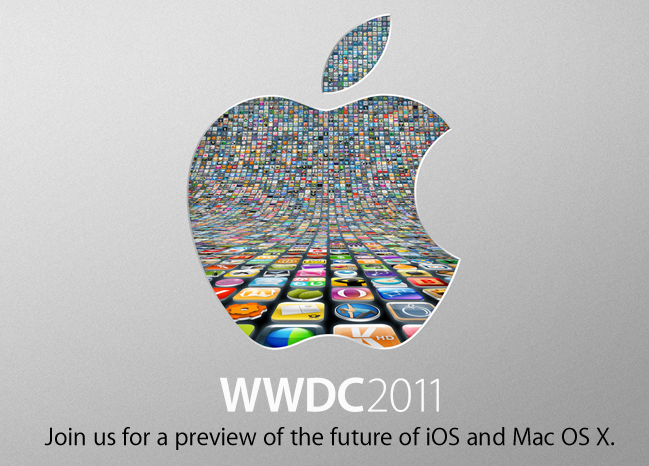 looks great, i hope it can work faster on older iOS devices.